A Slice of Smith Life: Happy Birthday to Two Smith Boys! 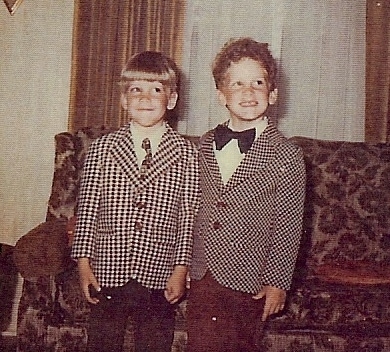 42 years ago, not one, but two Smith boys were born! Happy Birthday to my husband (on right) and his twin brother (on left)! Both of you bring much joy, happiness, and laughter to our family and friends just like this picture! Very sweet picture and Happy Birthday to them. Thanks LeAnn and Annita for stopping in and leaving a birthday greeting! :) We had a fun time celebrating the lives of these two very special men!